How disabled people travel by plane ? Airports and airlines offer support services to disabled passengers, but they are enough airports and airlines that offer support services to passengers with disabilities, but are they enough? 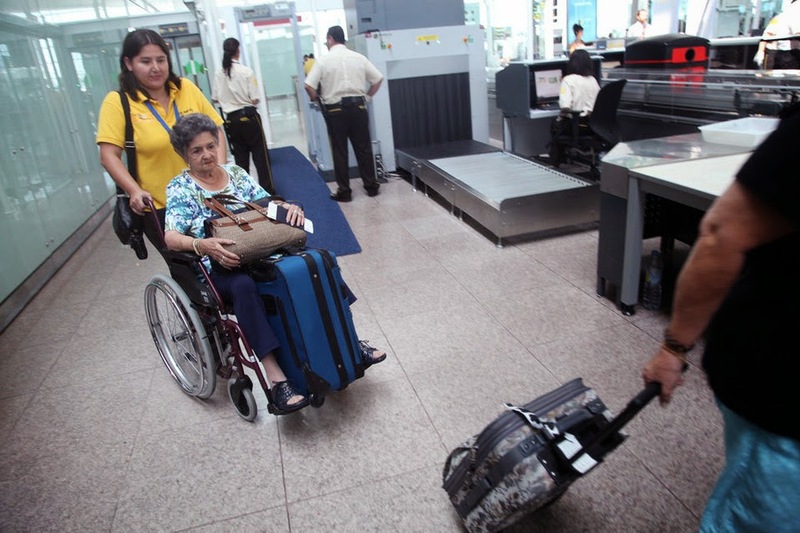 In Mexico, 5.1% of the population has a disability, that is, more than 5 million people, according to INEGI ( Mexican National Statistics Institute ) and the other 95% of the population are entitled to travel by air and use the airport infrastructure in the country. Currently, airports in Mexico have facilities offering services for people with motor , visual, hearing or mental desabilities. The Mexico City International Airport and airlines offer services to people with different abilities can move according to their needs. The terminals include lifts, conveyors, power ramps, bathrooms, and transport by minibuses. The airlines also offer special services for its passengers with disabilities, for example, Aeromexico and Volaris have accessibility to wheelchairs, signs and other facilities such as being accompanied by a guide dog, in addition to the assistance of his staff in the air as ashore. It is important, regardless that company are traveling, inform in advance the airline on passenger disabilities to receive timely and quality support. Despite all this services, both at airports and as the airlines still have some deficiencies in support of disabled people, according to Laura Bermejo, Vice President of the Association Libre Acceso (Open Access). At the airport in Mexico City one of the main problems is the lack of wheelchairs and their poor condition. Passengers with disabilities also submit to the security filter airports without doubt one of the main problems is that “staff need training to meet people with disabilities,” mentions Laura Bermejo. In aircraft, despite the support of flight attendants, there are several difficulties. Some of the main ones are that not all aircraft have seats for people with motor disability or do not have signs in Braille for blind people. In the order issued by the Directorate General of Civil Aviation and the SCT in November 2013 set up several points to approve operating and infrastructure criteria in providing air service to people with disabilities. ‹ PreviousComo viajam de avião as pessoas com deficiência?